One of the three J2M1 Raiden prototypes which flew for the first time on 20th March 1942. These had an overall yellow finish to indicate their experimental status. 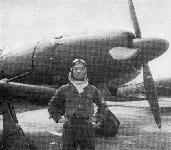 The third J2M1 Raiden, the Kana character Ko used as a prefix in the tail identification letter-and-numeral sequence indicating that the aircraft was included in the inventory of the Koku Gijutsu Sho (Air Technical Arsenal). This should not be confused with the Kanji character Ko which was applied as a suffix to aircraft, power plant etc, designations to indicate a modification. J2M3 Raiden 21 interceptor based at Kasumigaura (indicated by the Kana character Ka). The 1000-series identification number signified a land-based interceptor fighter. The J2M3 Raiden found by US forces on Dewey Boulevard, on the outskirts of Manila, during February, 1945. It was subsequently repaired and flown. 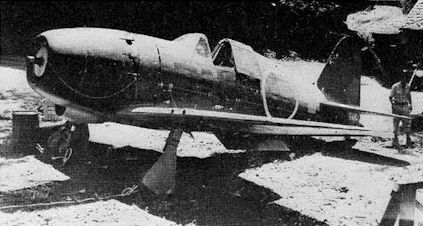 A Mitsubishi J2M3 Raiden Model 21 of the 302nd Kokutai engaged in defence of the home islands (autumn 1944). 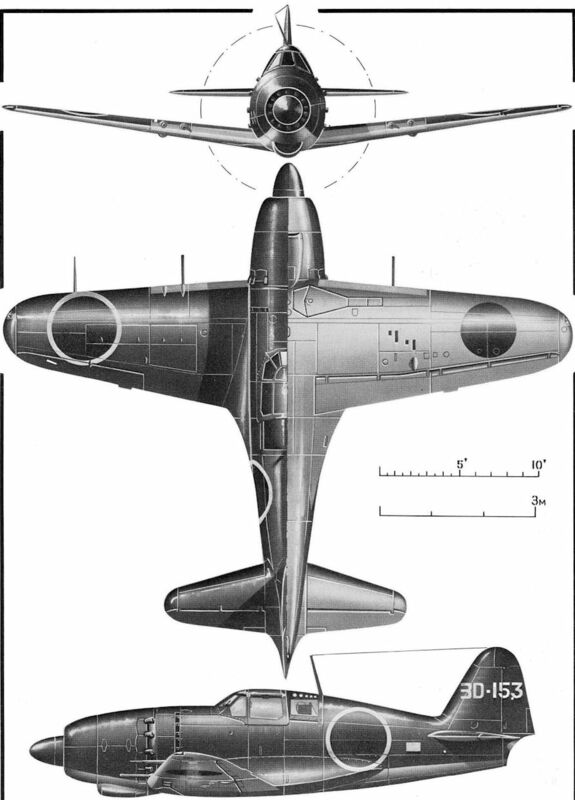 Dark green upper surfaces and pale grey under surfaces, tan airscrew spinner, yellow wing leading-edge stripes, red Hinomarus with white outline on upper wing surfaces and fuselage sides, and off-white tail identification markings.